Burying beetles are in the Order Coleoptera, Family Silphidae. 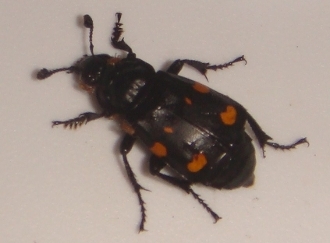 They are in the Genus Nicrophorus. Species sold through this listing may vary but measure over 12 mm. Some have orange spots and some are spotless. No guarantee on which one you get unless you write before placing the order.